Christmas is a celebration of togetherness and goodwill, which makes it the ideal time to reach out to loved ones with an offer of support. For those with friends and family overseas, providing support isn’t as simple as popping over with some mince pies or helping to decorate the tree. It takes extra thought and planning. Here are a few ways you can provide support from a distance, so your loved ones know you’re thinking of them this Christmas. Christmas is one of the most expensive times of the year, especially for families with children. According to an annual survey, the UK spent £25bn on Christmas last year­, a dramatic increase on the £7.9bn spent in 2011. Some families may not have enough to make ends meet over the festive season. A currency-exchange expert can help you send large one-off payments overseas without the costs incurred by using your high-street bank. You can agree an exchange rate and send money securely in minutes, giving your family the chance to enjoy Christmas. Sending money at Christmas is a great way to give friends and family a bit more freedom to buy food, drink and presents. Instead of changing currency at the post office and sending it by conventional mail, pick up your tablet or smartphone and send money online with a specialist. The money usually arrives the same day and you’re more likely to get a better exchange rate. The holiday season is best spent together, so why not plan a trip to see your loved ones? You can then lend a hand in the build-up to Christmas. Using an online transfer service to send them money direct could give them the funds needed to plan a trip. You could even send a payment before you travel, than arrive in time to help with the festive preparations. The cost of living can be overwhelming when cash is tight. Show your Christmas spirit by offering to help family with a regular monthly sum. Your money could pay for car repairs, school fees, utilities or rent. It could also keep your loved ones financially stable until they find their feet. Sending regular monthly payments overseas is easy when you set up a repeat transfer with a currency-exchange expert. You can fix the exchange rate and make automated payments so the same amount transfers to the same account at the same time each month. This helps avoid expensive transfer fees or repeated trips to the bank. 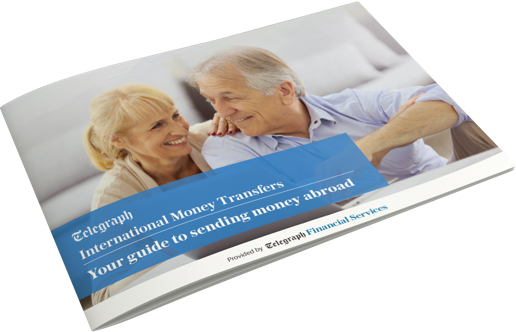 For secure international transfers at competitive exchange rates, join 10,000 Telegraph readers sending money overseas fee-free with the Telegraph International Money Transfer Service. Want to know more about our bank-beating rates?